Parents of one of the three British girls who fled to Syria, allegedly to become jihadist brides of Islamic State fighters, discovered a written checklist in their daughter’s room, specifying the essentials needed for the trip. 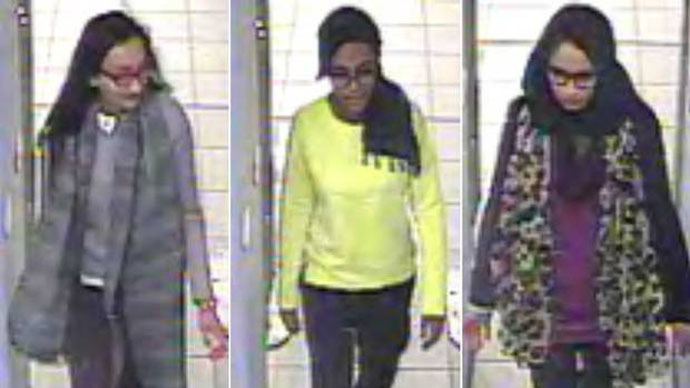 Shamima Begum, 15, Amira Abada, 15 and Kadiza Sultana, 16, from Bethnal Green Academy school, disappeared after boarding a plane from Gatwick airport to Turkey on February 17. Alongside the trail of social media clues left by the girls, one of their parents discovered a clue in their home. A written checklist was discovered in the girl’s bedroom after she went missing. The list, seen by The Guardian, highlights the price of their plane tickets to Turkey, which totaled over £1,000, a phone at £75, underwear at £12, socks at £4 and other items such as makeup and boots. It also appears to feature two sets of handwriting, and has one of the girls’ first initials besides each item. The items on the list add up to £2,190. The budgeting plans on the list indicate the girls were ensuring they had enough money for their journey. The parents of the girls said they have “no idea” where their daughters got the money from. According to Sky News sources, the girls are now “apparently in a house that is owned or controlled” by a British girl they had been in contact with over the internet. Parents of one of the girls said their flight “could have been avoided” if police had properly informed them of the girls’ 15-year-old friend who fled to Syria weeks before their children followed. “How can the family of one of those girls who’s travelled to Syria blame everyone? Did they not notice anything?” a Twitter user asked. How can the family of one of those girls who's travelled to Syria blame everyone? Did they not notice anything? “It’s the parents and the girls who are to blame, pathetic,” another user said. Police say they wrote letters to the girls’ parents informing them their children were friends with a pupil who fled to Syria. However, instead of sending the letters to the parents’ home addresses directly, they sent them via the girls, who hid them in their schoolbooks in their bedrooms. The families only discovered the letters once it was too late to intervene. Turkish authorities said the UK did not inform them of the girls’ flight until three days after their disappearance. The British insist Ankara was told immediately.